From time to time I’d like to use this blog to introduce some of my favorite weather-related books. (Don’t worry, not textbooks.) I will make sure they’re interesting, informative and reasonable with the science. Hopefully, this will become a monthly thing. Feel free to e-mail me suggestions! Tonight’s book is The Cloudspotter’s Guide: The Science, History, and Culture of Clouds by Gavin Pretor-Pinney. Mr. Pretor-Pinney, in addition to penning this and several other cloud books, is also the founder of the Cloud Appreciation Society. Cloudspotter’s Guide is more than just an identification chart for distinguishing stratus from cumulus. The book identifies heights, shapes, patterns, and precipitation as well as explains how they form. But the book is more than just hard science, it’s 300 pages of cloud history, connections to modern and ancient culture, and brilliant photographs. Cloud science is undoubtedly my favorite subject in the field, and this book covers EVERYTHING in an engaging manner that I dare say could qualify it as bedtime reading. If you want to know about contrails and Constantine, hail and halos, Raphael and radiation fog pick this book up today! 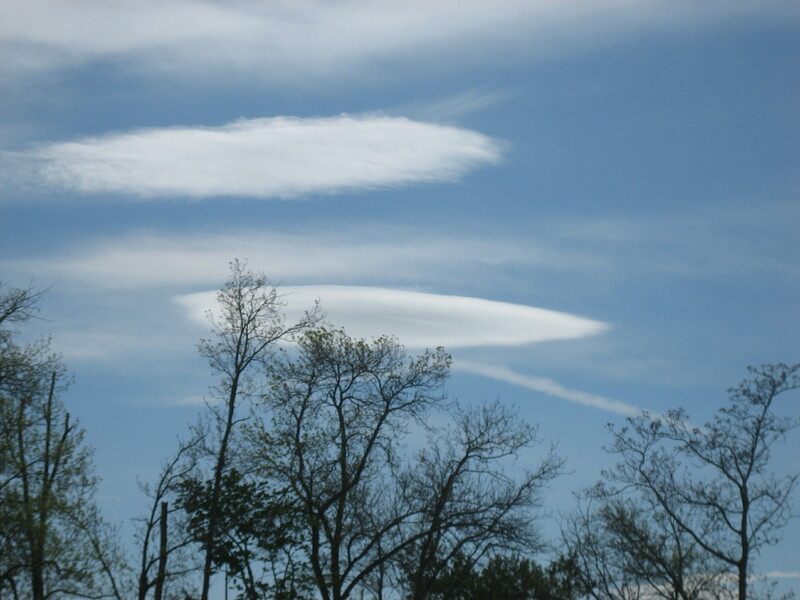 Want to identify this cloud? (Taken by myself in Lowell, MA) Pick up The Cloudspotter’s Guide today! 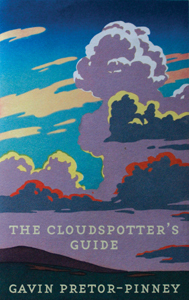 The Cloudspotter’s Guide is a great read and a wonderful resource. I’m sure to discuss it in some future posts. I give it a Wildcard Weather rating of 4/5. It’s a great read for anyone who thinks a clear blue sky is just boring. Pick it up today.